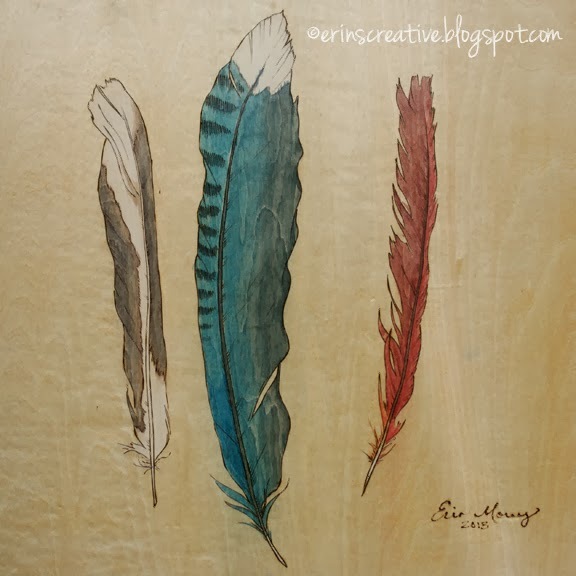 I am so super excited to announce that I have donated two pieces for auction to help support the Texas Wildlife Rehabilitation Center in Houston. It's a really awesome event called Art at Vintage Park. The TWRC is a really cool place that rehabs injured wild animals in the Houston area. So, that bird that has a broken wing hopping around the yard, yup, they take them and nurse them back to health in hopes of releasing them back into the wild. If they cannot, they might use the animal as an educational animal to teach people/children about local wildlife. I have heard that they also do an amazing summer camp for kids. So, when presented with the opportunity I did two pieces to donate. The first one is called, "Backyard Birding." These are three feathers that I found in my yard. 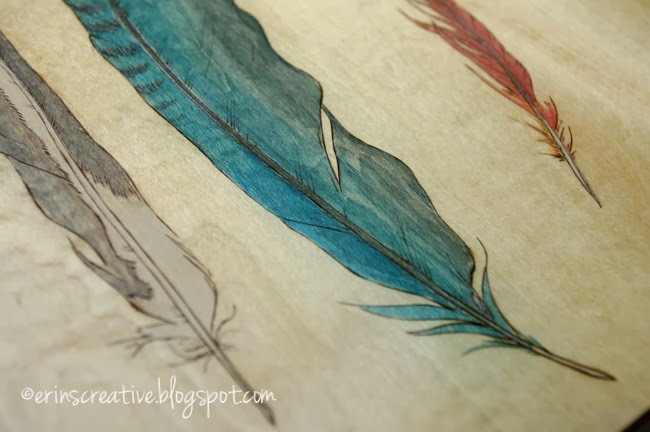 I'm not 100% sure what the feather on the left is, I am guessing either a dove or mockingbird, the center feather is a blue jay and the one on the right is a cardinal. 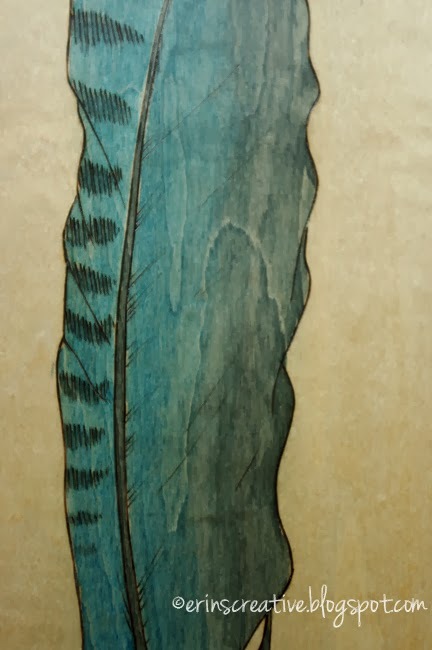 I used the same technique that I have been developing where I am woodburning and painting with wood dyes. "Backyard Birding," is on a raised basswood panel that is 12x12 inches. I love it and hope you do too. 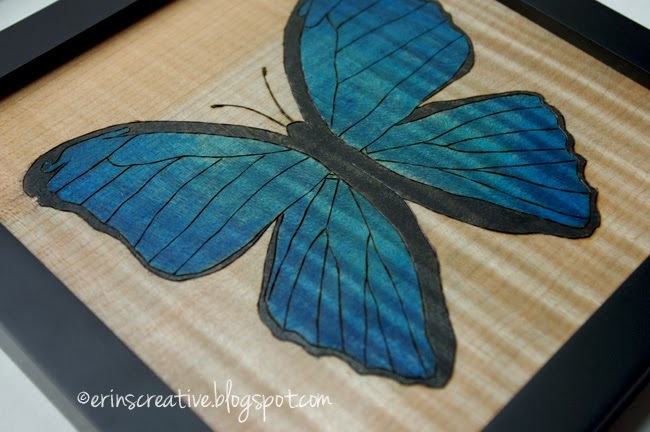 The next piece I donated is, "Blue Morpho Butterfly." 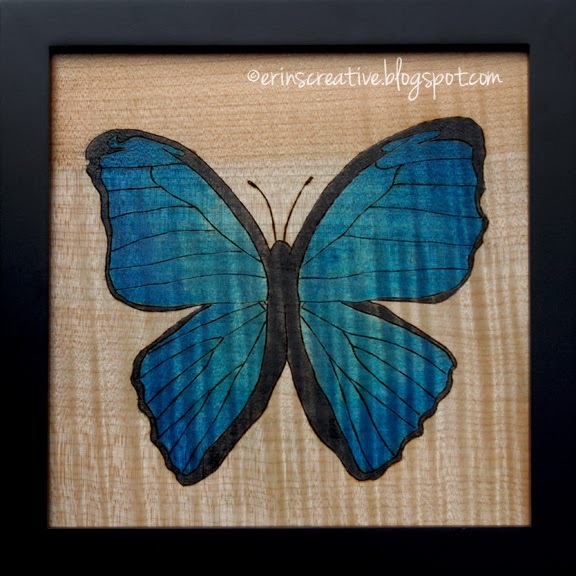 This piece is an 8x8 inch woodburning on a curly maple panel and framed. I love curly maple. It gives such a cool illusion. If you have never seen/worked with it, I highly recommend it. 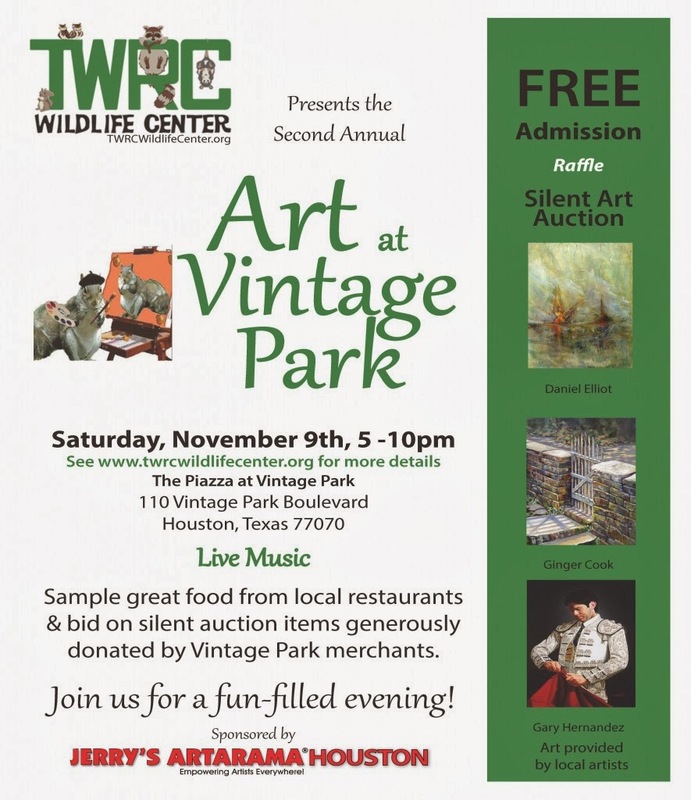 So, if you are in the Houston area and want to help out a good cause while buying some cool artwork, stop on by Vintage Park this Saturday night. I know I will be there! If you come, please come introduce yourself.